Betting the traditional way on NFL games is notoriously hard. Sports books win money over time, so you can be sure that their NFL lines are set in precisely the spot that they should be. If you look at a line and say to yourself, "This line is not correct! I'm going to bet big" - well, you are probably wrong and they are probably right. Betting on NFL spreads and winning over the long term is next to impossible. 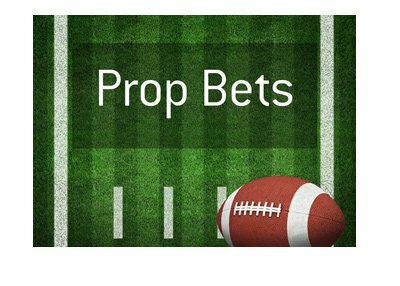 Prop bets, however, give the smart gambler an edge, as sports books will often incorrectly price the lines. Let's say that the Kansas City Chiefs are playing the Buffalo Bills at home. The Bills have a very porous run defence, and Kareem Hunt is expected to get much more work than in past weeks, at least according to his coach. In this case, you could safely assume that Kareem Hunt will likely have a very good day. The sports books, however, might not take all of this into account when they price their lines. In fact, they often won't. What will usually happen is that the book will take Kareem Hunt's total yards gained as a starting RB and divide it by the number of games that he has started. They will use this number to set the line. So, if Hunt has gained 300 yards through his 5 games as a starter, the sports book might set his "Total Yards Gained Rushing" line at 60 yards. Given what you know about the Bills' running defence and the fact that the Chiefs' coach is planning on running Hunt much more throughout the game, you can safely assume that the "over" bet is a smart wager. In the hours before a NFL game takes place, you will often notice some large movements in the prop lines as sharp bettors get their wagers down. For instance, it's not unusual to see a line that was originally priced at 1.90 suddenly trading all of the way down to 1.50. This might not seem like a big move, but it's actually massive and shows you that the line is probably mis-priced. So - how do we exploit this to our benefit? 1. Get a good idea of how the best players on each team are projected to do each week. Who is the team playing? How is the team playing as of late? Is the player you are looking at playing well as of late? How does the opposing team project when it comes to their defence? Are there any injuries that might impact the game script? 2. Get your bets in early. If you have a line that you believe is mis-priced, get your bets in as soon as the prop bet lines are released (usually a day before each game). If a line is mis-priced, smart bettors are going to crush it and the line is going to move significantly. 3. Use bankroll management. Don't blow your whole bankroll on one pick - instead, use proper bankroll management. Just because a line is mis-priced, doesn't mean that you can't lose your bet.